Most speaker cabinets are made from wood or low-quality plastics. Wood is susceptible to water damage and can weigh more than plastics. 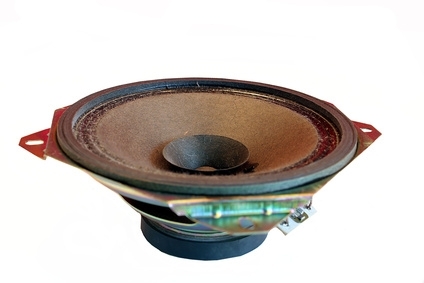 Styrene is among plastics that are used for inexpensive speaker cabinets but the units tend to be fragile. Many high-end speaker companies make clear-acrylic speaker cabinets that are expensive and limited to a few sizes. A speaker enclosure can be built out of clear acrylic in any size and at a fraction of the cost of a manufactured unit. 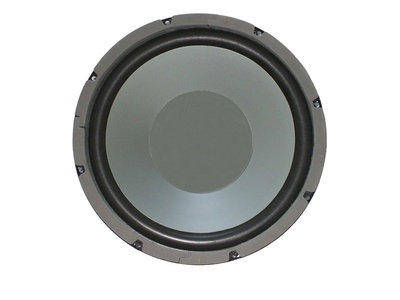 Measure the diameter of the subwoofer, which is a speaker that delivers sound in the lowest frequencies, subtracting the size of the outer ring that mounts to the speaker box. The box should allow at least 3 inches around the speaker. Create a rough drawing of the box. Indicate the length, width and height of the box in your drawing. The enclosure is a cube that has six sides. Make a list of the individual parts, which should include a top, bottom, two sides, a front panel and a back panel. For most enclosures, a quarter-inch acrylic should be sufficient. The material's thickness must be taken into account when calculating the sizes of each panel. Have an acrylic retailer cut the material to size. Draw a circle on the front panel's surface where the speaker will be mounted. Drill a pilot hole large enough to accommodate a jigsaw blade. Carefully cut out the hole with a jigsaw. Mark the positions for the speaker's mounting screws. Drill the holes slightly smaller than the mounting screws. Drill holes in the back panel for the speaker wire and any mounting brackets. Sand the panel edges with 220-grit sandpaper. Remove the protective backing from the acrylic. Assemble the frame. This consists of joining the top and bottom panels to the sides. Start by gluing a side panel to the top or bottom panel, using the gluing jig and clamps to hold the pieces at a 90-degree angle. Apply a thin line of acrylic cement to the inside joint. Let the cement dry for 45 minutes and repeat the process for the remaining pieces of the frame. Glue the back panel to the frame. Apply the acrylic cement to the inside joint. No gluing jig or clamps are required for this part of the assembly. Glue the front panel to the frame. Carefully apply the acrylic cement to the inside joint through the circular cutout for the speaker. Polish the sanded edges with acrylic buffing compound. Insert speaker wire through the back panel. Connect it to the speaker. Line up the speaker's mounting holes with the holes drilled in Step 2. Carefully insert the mounting screws into the holes. If they feel too tight, slightly enlarge the hole. Never force the screws into the acrylic. If the speaker boxes are going to be mounted, drill additional mounting holes on the back panel matching the hole to the screw size. 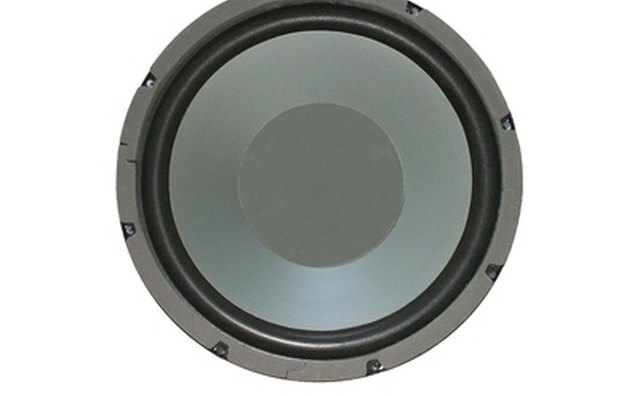 If the speaker rattles, apply a ring of silicon caulking around the inner lip of the speaker ring. For an added special effect, add battery-powered lighting to the inside of the speaker box. Cast acrylic works better than extruded acrylic when drilling or machining.